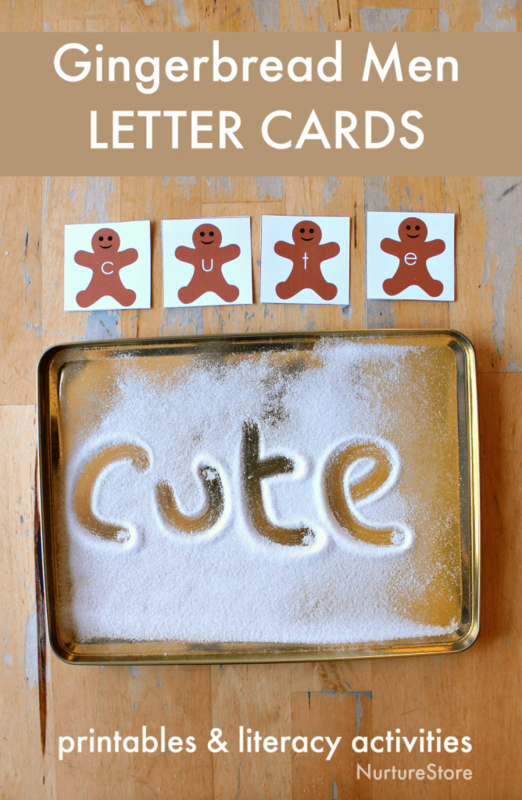 You can use this printable gingerbread man alphabet with all these gingerbread themed literacy activities. Make this Halloween sensory tub with waterbeads, or try my other sensory tub filler suggestions. 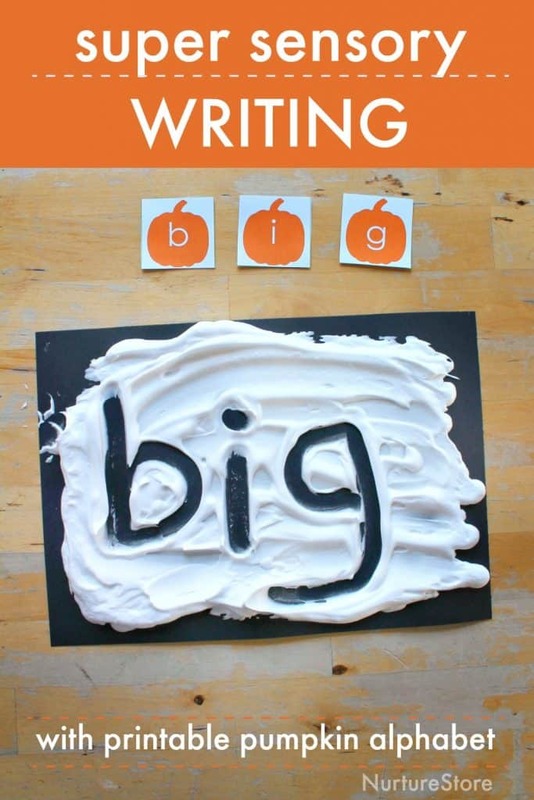 Add in the pumpkin letter printable for great literacy-themed sensory play. 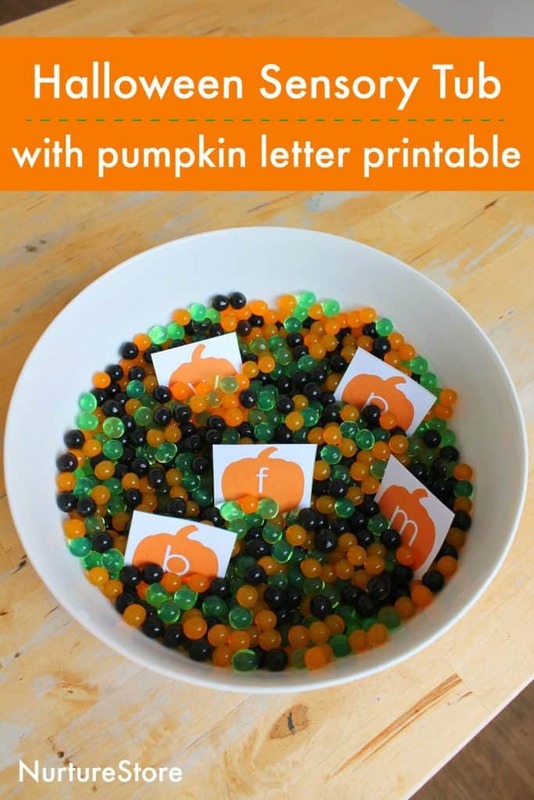 Great ideas for Halloween letter games and a Halloween sensory writing activity, with a cute printable pumpkin alphabet. 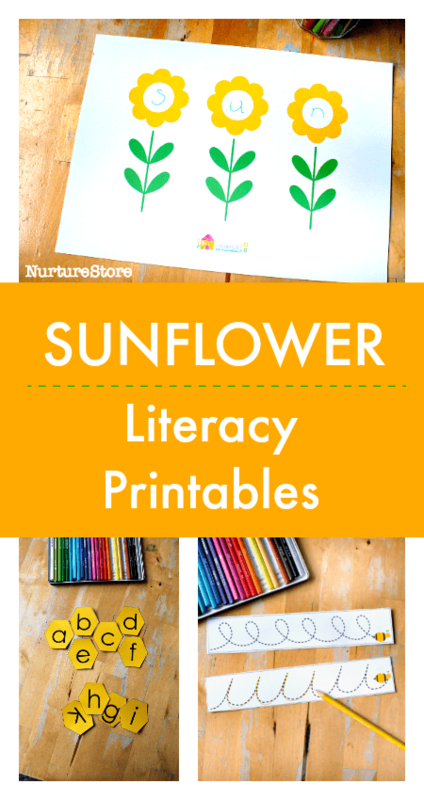 These sunflower themed printable spelling mats, along with our other Sunflower School printables, make a great literacy centre for writing, spelling, and reading activities. 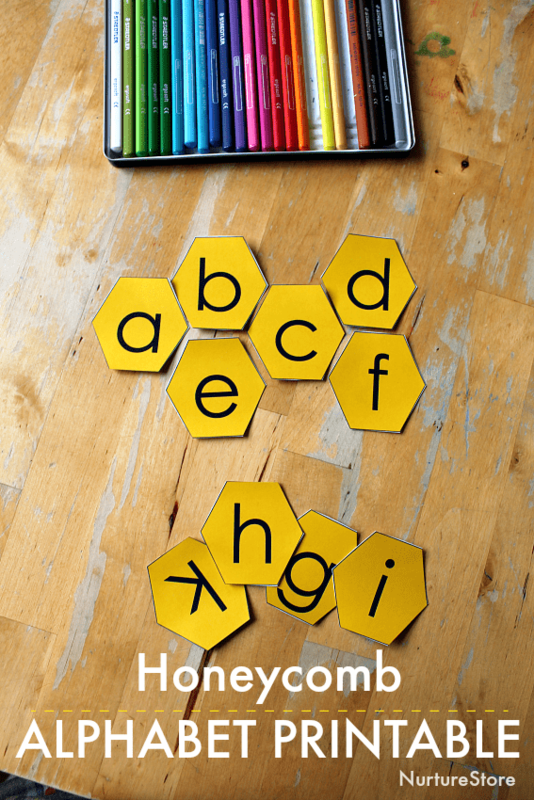 Use this printable honeycomb alphabet with these fun bumble bee-themed letter activities to add a hands-on buzz to your bee literacy activities! 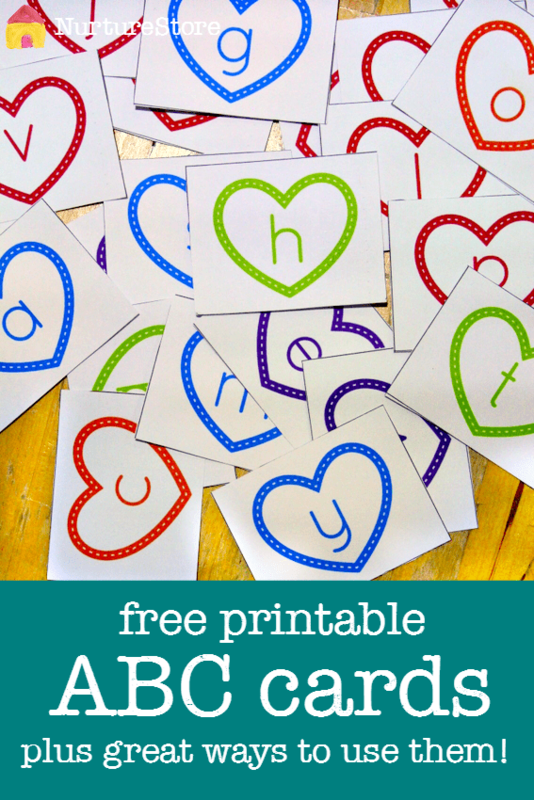 These free printable rainbow writing sheets are a fun way to practise spelling and make a great addition to a rainbow themed literacy center. 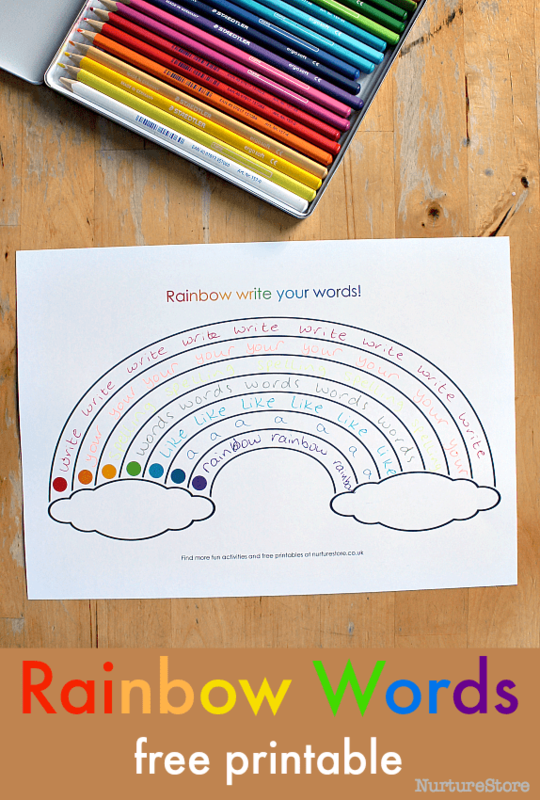 Print yours and try these rainbow learning activities.